I went to make pumpkin brownies. 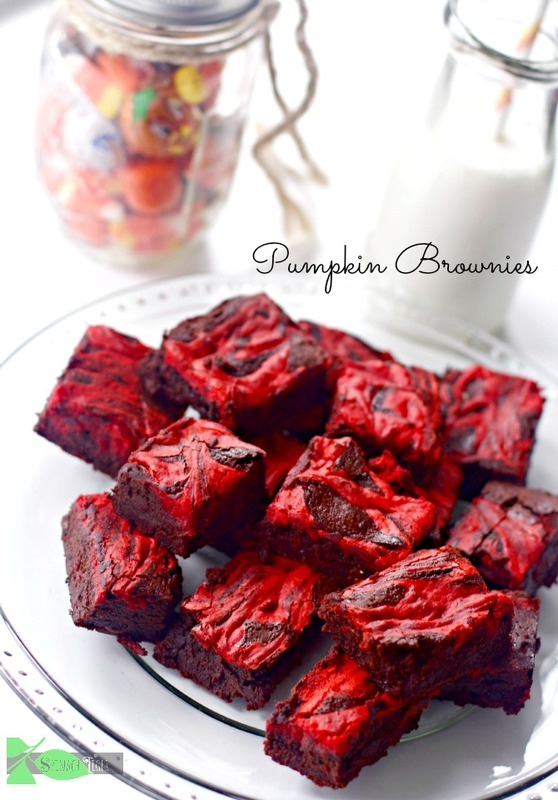 Just pumpkin brownies. I didn’t like the color of the pumpkin. I added in a little bid of red gel food coloring. The original recipe called for orange food coloring, but I was out of yellow, which led to a gorgeous red. 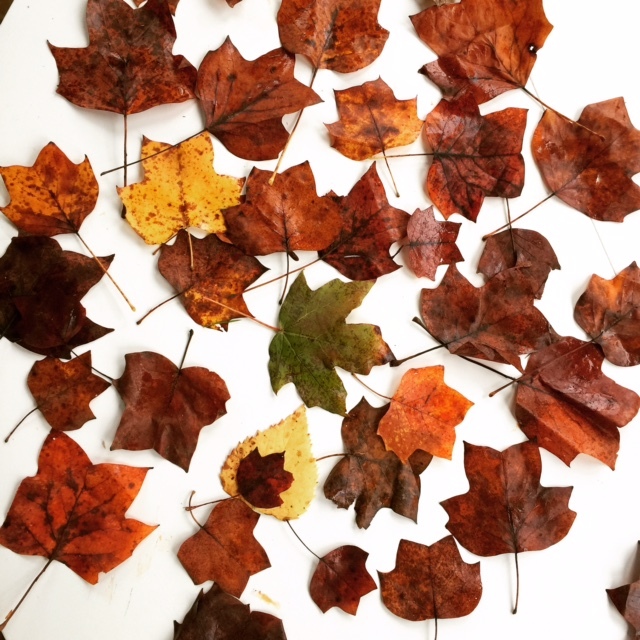 The color reminded me of a beautiful leaf, those orange red ones that make me love the Fall. 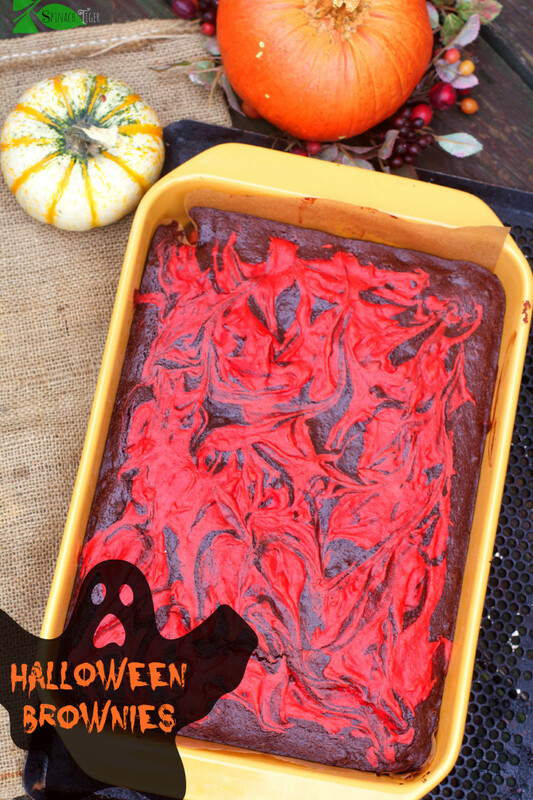 What was meant as a simple pumpkin brownie became a bloody brownie, the perfect Halloween party treat, and off they went to the party. I started with this recipe found from here from the Food Charlatan. It was the prettiest on Pinterest and I liked the recipe. As I began to make it, I changed it up only slightly. I added maple into the cream cheese swirl for a deeper taste of Fall. I reduced the butter, but it was still an inspired recipe. Just to let you know, I’ve challenged myself to write 30 posts in 30 days for something I’ll announce at the end of my 30. Sometimes I like to push myself out of my comfort zone. This was a big push, because even three posts a week is ambitious. Seven posts a week is just about crazy, but I like crazy as long as its not drinking upside down margaritas. (been there, done that). So here’s what happened at the Halloween party. I didn’t eat a single sweet, but that’s not what I want to tell you. I teamed up with a friend, and we’re going to walk together in 30 day challenges. Some aggressive. Some very genteel, maybe ten silly. The whole idea behind this hashtag #30 day anything challenge is to grow the seeds in us we don’t know about inside of a community we hope to develop. Stay Tuned to what this means, and perhaps get ready to join us. Some of the things I thought about are outside of the box, not the kind of goal setting you think of. For example, how fun would it be to challenge yourself to read one paragraph about a foreign country every day for 30 days. At the end, you might have an expanded outlook. The possibilities are endless, and so is our human potential. If anything comes to mind for you, I’d love to hear about. I’m tagging my Instagram with #30dayanything. I’d love to have you join in when we launch this or even right now. By the way, at the party, there were way too many desserts. I also brought my signature Autumn Kale Salad, and it was the first dish to empty. Bring a pot luck salad along with any sweet and people will love you more. 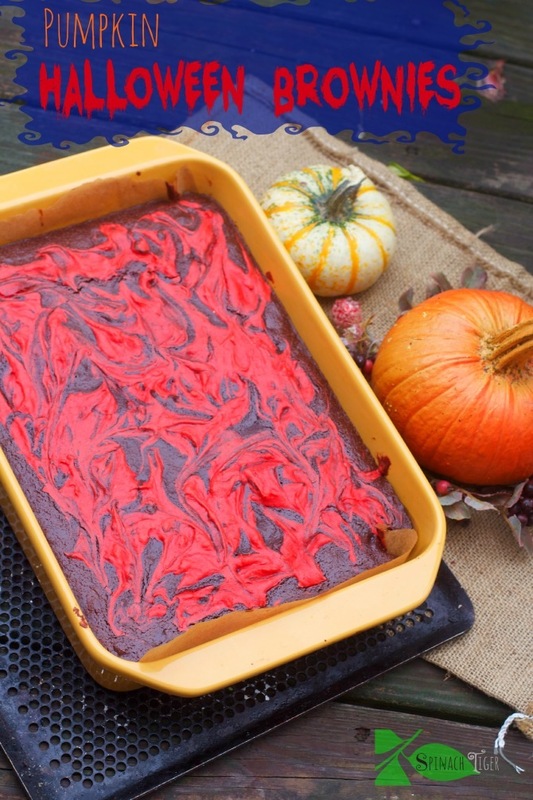 A Halloween take on Pumpkin Brownies, using pumpkin, maple and red food coloring. Melt butter over medium heat. It was suggested in original recipe to melt and brown, but that's not necessary. You can do that if you like. I didn't brown the butter. Add sugar and cocoa. Mix well. Add flour and butter. Mix until just incorporated. Cream cheese must be at room temperature or it will be hard to incorporate. Mix pumpkin with a teaspoon of pumpkin spice. Add food coloring to pumpkin until a deep red. It will lighten up once mixed with cream cheese. Mix cream cheese, pumpkin, vanilla paste, sugar and maple syrup until very smooth. At this point, add in more food coloring to get desired color. Pour brownie mixture into baking dish. Pour cream cheese over the dish and use a knife to swirl. Bake for 40-45 mins. Cool completely before cutting. Wow!! A post every day!! That is really great. With all of our traveling it is near impossible to cook, photograph, write and publish. I love doing it but finding the time but you’re right. I know how I want to challenge myself — and it would be something for me. Anyway your brownies look bloody gorgeous! I love the pumpkin in them. Have a great day and I’m anxious to follow your #30dayanything. BTW– the Crusty Italian Sandwich Bread posted.